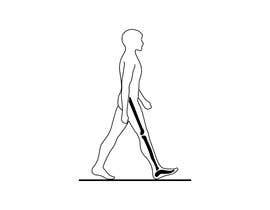 I need assistance in creating/adjusting illustrations for a Powerpoint presentation on Gait/Movement Analysis. I have sample representations of the images needed (see below). I need a creator who can take the images and re-draw/digitize them so that I can use them in various slides of a presentation. The images should be of simple line drawings. The drawing should be similar to the stick person drawing below depicting the phases of the gait (walking) cycle. It should also squat movements. 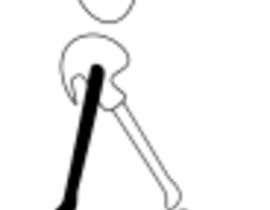 I will need the stick person to be shown in 3 different planes (side, back, front). So around a total of 30 line black/white drawings of the figurine (8 for gait in 3 different planes & 6 for the squat in 3 different planes). Need original line person drawings. I would also like 6 GIF (or any type) animations of the your figurine performing the gait and squat in the 3 different planes as well. Will be used for a powerpoint presentation.